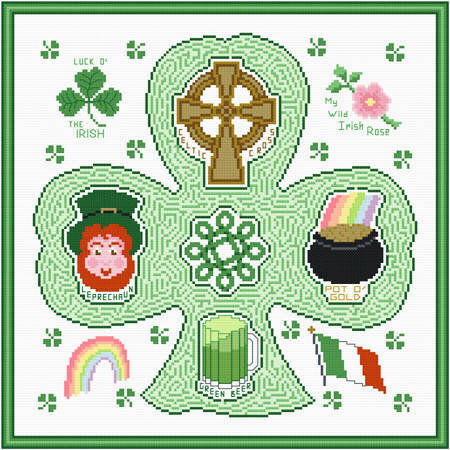 Irish Maze cross stitch pattern... Irish images in a maze may be connected. Dry erase markers can be used on the cover to solve the maze, then be erased. Solution is provided. Extra Irish images enhance the design. Colors may be changed.